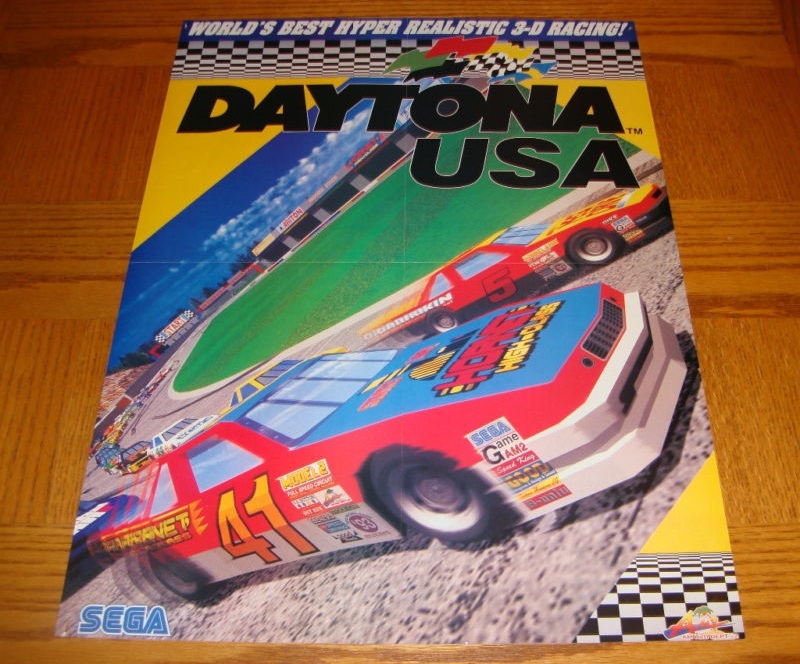 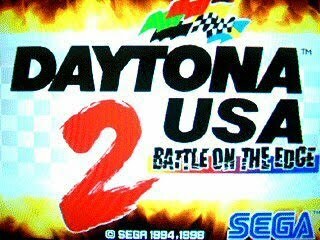 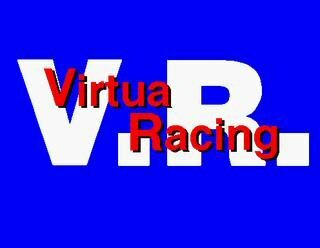 Musings of a Sega Racing Fan: Daytona USA Ebay "Swag"
Oh man, the best thing to owning to the actual Daytona game would be the following wonderful items I've seen on eBay! 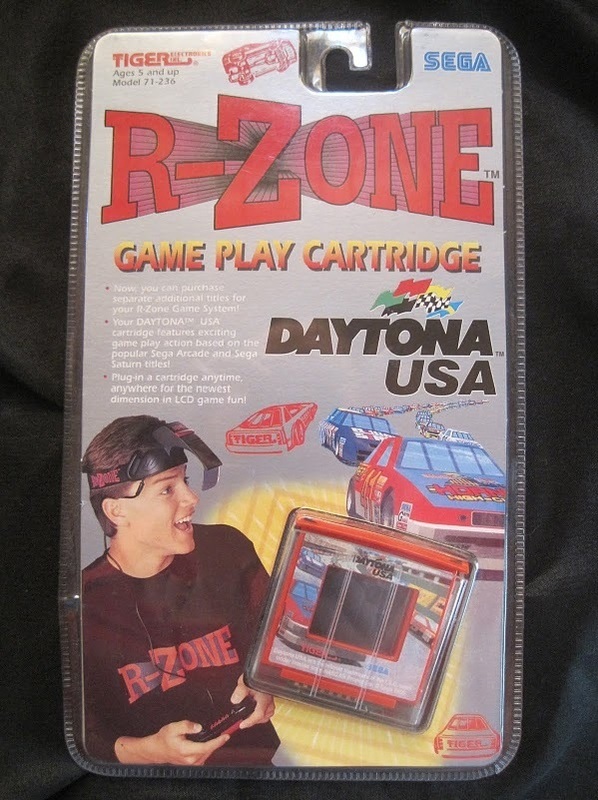 The Tiger R-Zone was a portable console that you wore on your head and looked into like a Metal Gear/Splinter Cell device. 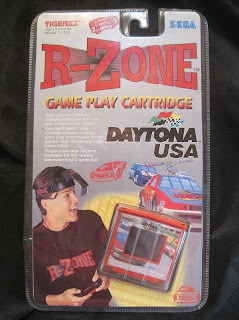 It was similar to the Virtual Boy which means it probably sucked big-time. 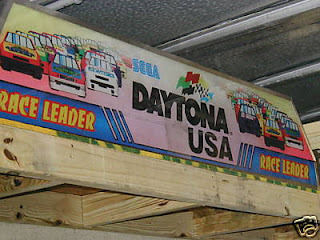 A stand-up Daytona USA cabinet...I just cannot fathom playing an arcade racer standing up. 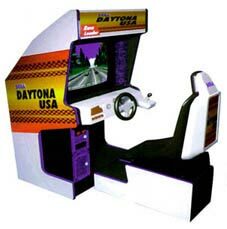 Well, these kind of cabinets are much cheaper than the sit-down ones (around $800 for a stand-up and $2000 for sit-down per player). 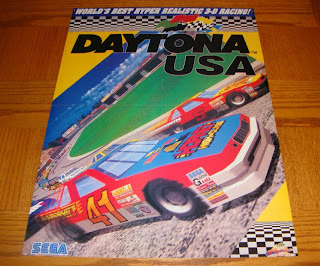 A Daytona USA marquee, buy it on eBay somewhere. 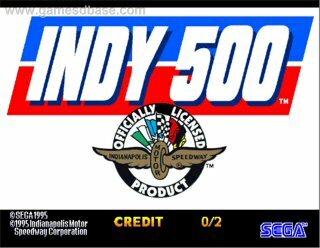 These are pretty expensive though--I saw one go for $150. 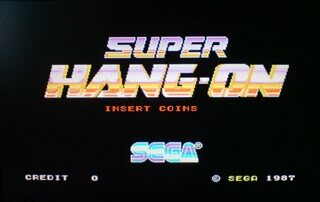 Would be great for show. A Daytona USA operator's manual, all right!!! 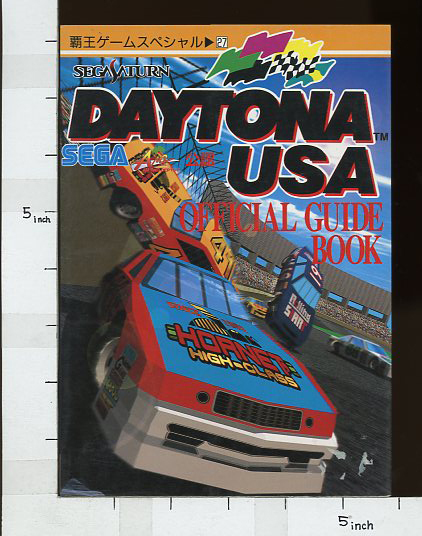 A Daytona USA guide book. 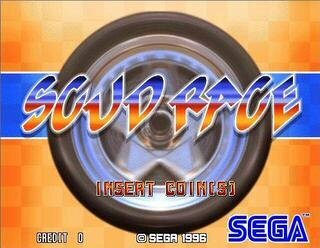 It's for the Saturn version, not the superior Arcade version. 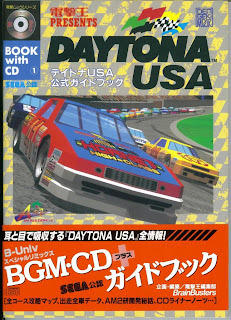 Well, I can't imagine it sharing anything new since there's tons of Daytona 1-related media on the web, but it's another good thing for collectors. 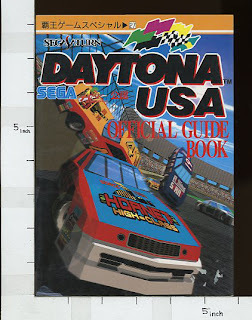 If I find this book for cheap, I'll take a look at it. 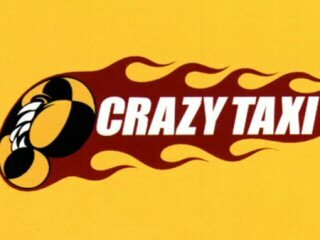 If there's anything cool I forgot, let me know about it. 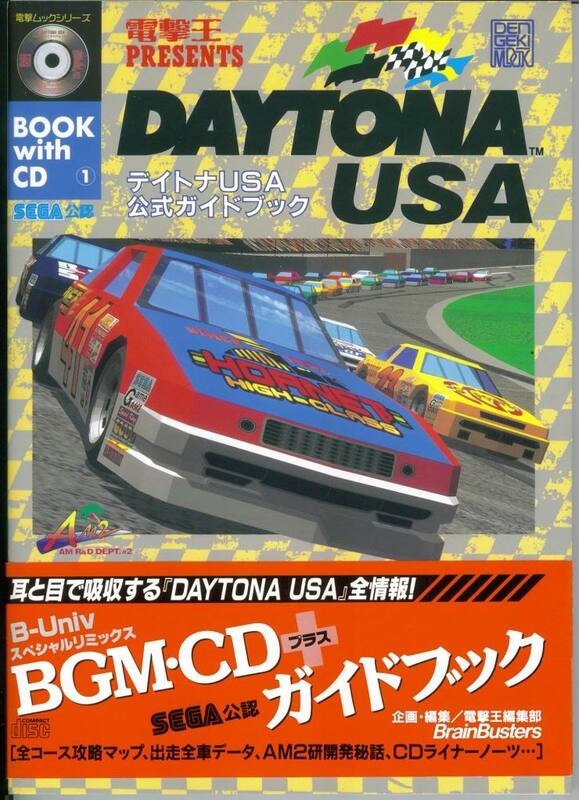 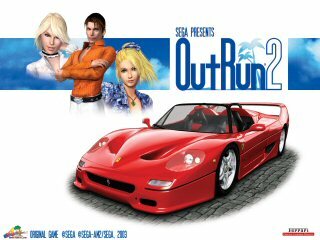 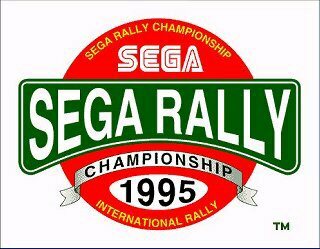 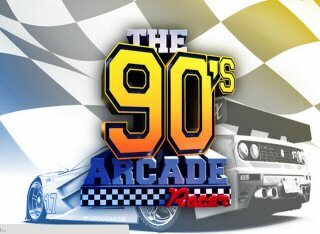 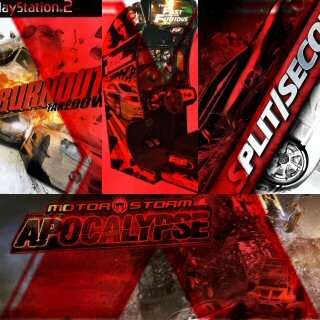 I've played standup Sega Rally, Daytona USA, and Crusin' USA (ugh) and they're all godawful. Standup daytona cabinets CAN be cheaper in some cases, but it's not worth it when it's fairly common to see twin cabs for around $600 at an arcade auction or privately sold. 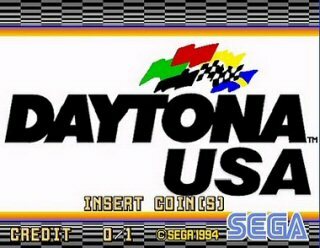 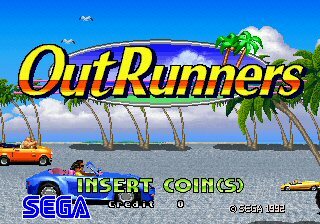 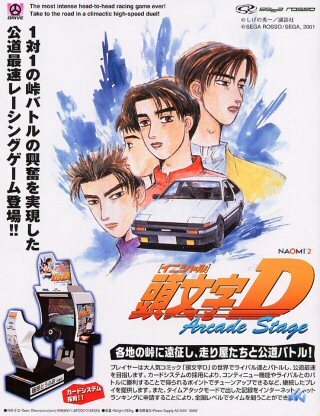 Protip: if you want a Daytona USA 2, Outrun 2, Scud Race, or Initial D 3 machine on the cheap, pick up another less popular Sega racer with the same Sega Universal Racing cabinet (like Emergency Call Ambulance) and convert it. 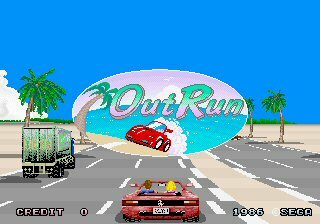 For some reason, nobody wants Emergency Call Ambulance so you can pick one up for around $200-400 and pop the new artwork and hardware in. Wow, that's a good idea. 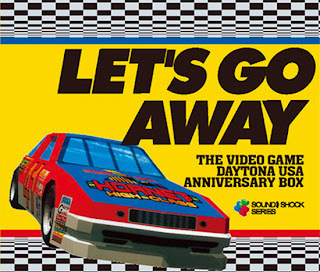 I never thought to look for the Ambulance game. 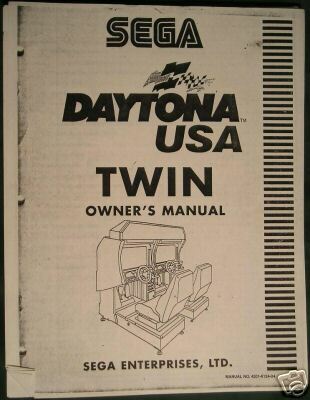 Then get the pieces to convert it.